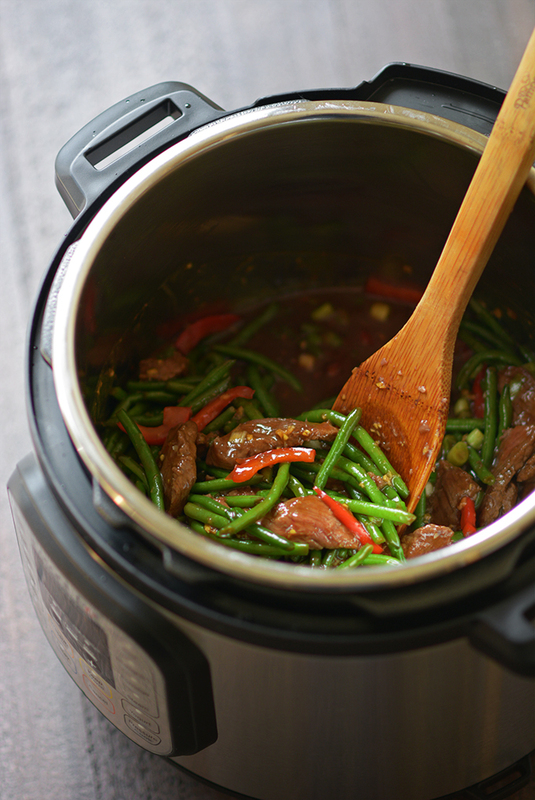 Instant Pot Mongolian Beef and Green Beans – Love the taste and convenience of Chinese carryout, but hate shelling out the cash for it? 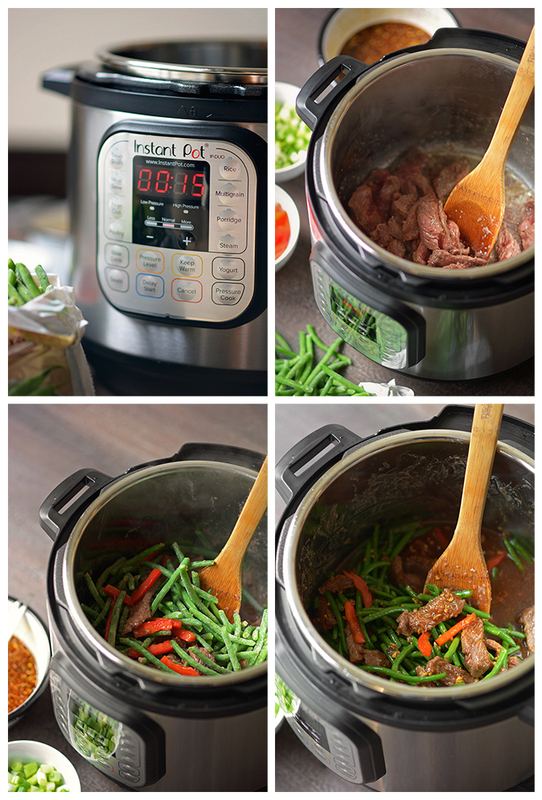 This Instant Pot recipe changes all that! My kids are crazy about carryout Chinese food. And let’s be honest, my husband and I are pretty crazy about it, too. One thing I’m not crazy about, however, is paying for said carryout. As much as I’d like to spend the money on the convenience of it all, with a family of hungry boys the cost can really add up. 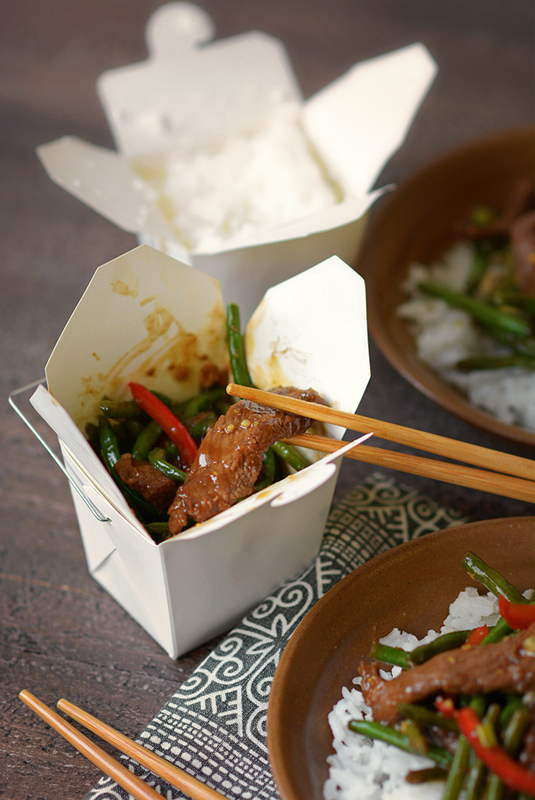 So often, the work it takes to recreate the taste of carryout Chinese food in my kitchen doesn’t seem worth the effort. 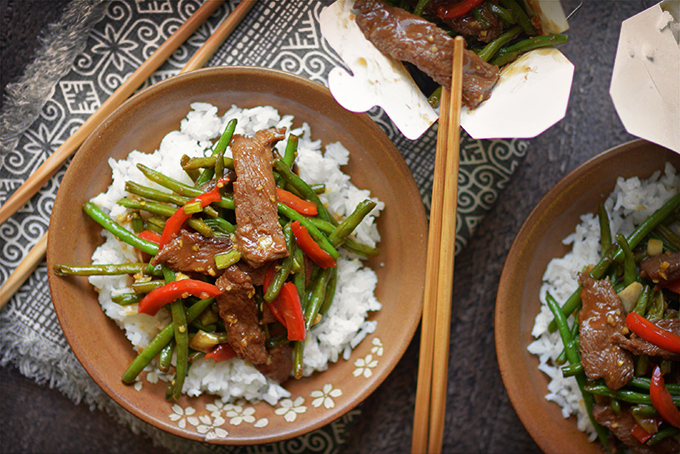 Today’s recipe for Instant Pot Mongolian Beef changes all that! 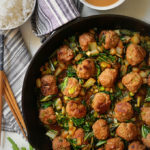 It only takes 10 minutes to prep and 15 minutes to cook, putting dinner on the table in less than 30 minutes with only one dirty pot. That’s about how much time it takes my family to decide what carryout they’d like to order… And then there’s also the time it takes for someone to pick it up! Not to mention, making my own is a fraction of the cost of carryout. 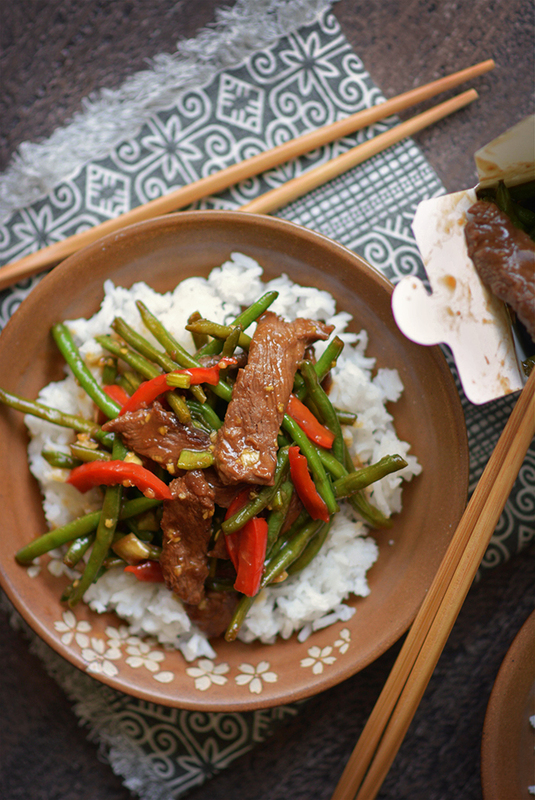 This Instant Pot Mongolian Beef is sooo good, too. 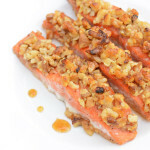 It’s got all the sweet and savory goodness of the restaurant variety. 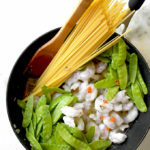 I also load my version up with green beans and red peppers, making it a healthier weeknight option for my hungry family. 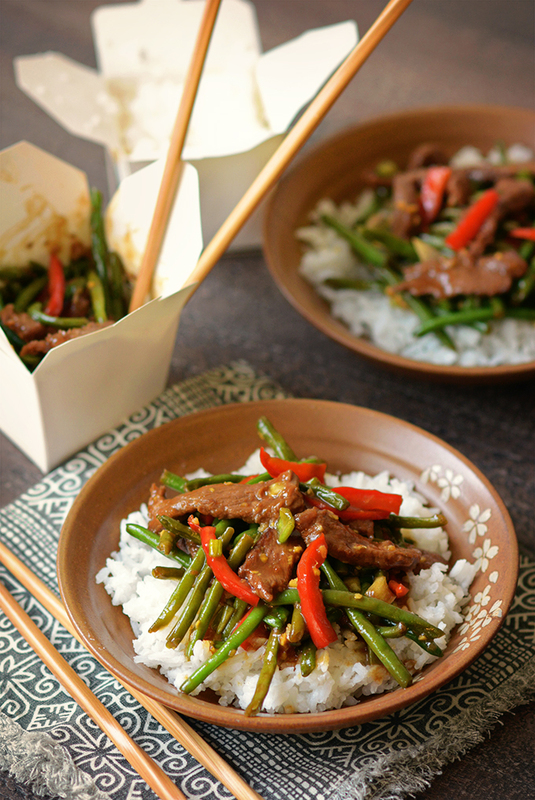 There’s only one problem with this homemade Mongolian Beef recipe. 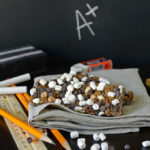 It will be so popular that the kids probably won’t leave you any leftovers. Now, that’s a real disappointment! In a medium mixing bowl combine the light brown sugar, minced garlic, fresh ginger, and corn starch. 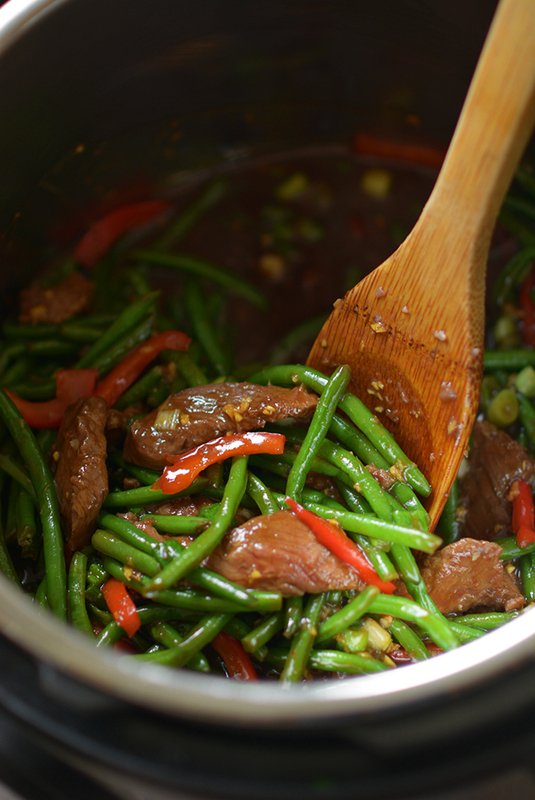 Whisk the soy sauce into the dry ingredients until the sugar is mostly dissolved and then set aside. 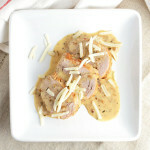 Cut the steak into thin slices, place it in a medium sized bowl, and coat it with 2 Tbsp of corn starch and set aside. Cut the red peppers and scallions and also set aside. Add 2 Tbsp of canola oil to the Instant Pot. Turn the Instant Pot on to the medium or “normal” sauté mode for 15 minutes. Add the beef to the pot and cook for 5 minutes, stirring frequently. Next, add the red peppers and frozen green beans and sauté for another 5 minutes. Add the sauce and cook for 4 minutes, stirring intermittently. During this time the Mongolian Beef should come up to a simmer. Finally add the chopped scallions and simmer for 1 more minute. Serve immediately as is or with a side of rice*. 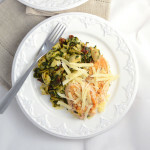 *The dish is best if served on a bed of jasmine or white rice. 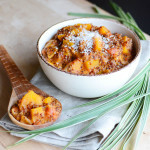 What makes this an Instant Pot recipe? You never use the pressure cooking function. All you’ve done is exactly the same as cooking it in a saucepan on the stovetop: 15 minutes of sautee mode.